Sometimes it’s the acquirer that gets a Wall Street pop. Shares of Array BioPharma soared after acquiring the worldwide rights to a potential skin cancer treatment. Array is snapping up encorafenib from Swiss pharmaceuticals giant Novartis (NVS), a treatment that’s in a late-stage clinical trial to aid in tackling melanoma when used in combination with another Array-owned treatment. It was a great week for the leading premium video streaming service. Netflix stock shot up after the company posted a blowout quarterly report. This was an important report for Netflix. It had disappointed investors three years earlier by falling short of its subscriber forecast for the third quarter, pointing to last year’s springtime price increase as a culprit. It came through by topping its projection of adding 4 million net subscribers during the holiday quarter. 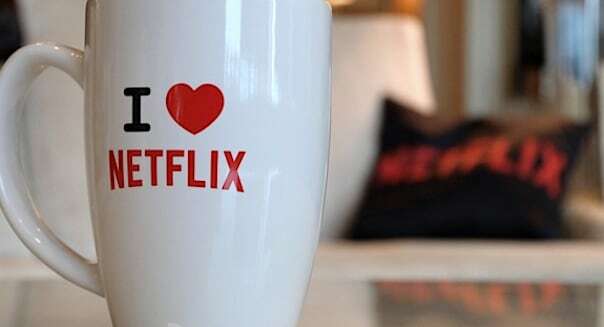 Netflix’s biggest growth came internationally, and the revitalized dot-com darling also excited investors by saying that it’s two years away from turning a profit on its overseas business. A great quarter is always relative. Cree shot higher despite posting ho-hum numbers last week. The LED lighting specialist reported revenue of $413.2 million, slightly below the $415.1 million that it had announced a year earlier. Adjusted earnings for the fiscal second quarter plunged 33 percent to $0.33 a share. That doesn’t sound very encouraging, but analysts were only holding out for a profit of $0.22 a share on $409 million in revenue. It’s a relative success, and with Cree’s stock trading well below last year’s highs, it was more than enough to push the shares higher. Peer-to-peer lender Lending Club was a hot IPO last month, but that is leading to a cautious outlook by the firms that helped take it public. Shares of the leader in this fast-growing niche that pairs up people who want to borrow money with investors looking to lend some slumped after four underwriters initiated coverage with the equivalent of neutral ratings. Their price targets of $22 to $23 offered little upside from where Lending Club was when the week began. One lone analyst — BMO Capital — was more optimistic. It initiated coverage with an outperform rating and a $28 price target. However, when the majority of a debutante’s underwriters are cautious, it’s not a good sign. The parent company of Redbox took a hit after its CEO stepped down. Outerwall announced that Scott Di Valerio was leaving as CEO and resigning from the board of directors. Given the challenges that face Redbox with declining DVD rental usage and a recent price increase, having to find a new leader will make it that much harder to navigate these treacherous waters for physical media. Redbox recently scrapped its poorly received digital video offering. There was a time when Travelzoo was a dot-com darling, growing quickly on the popularity of its weekly email missives offering sponsored travel deals. It seems as if the Travelzoo Top 20 emails are no longer as magnetic as they used to be. The stock took a hit last week after the travel-deals publisher posted a 16 percent plunge in revenue from the same quarter a year earlier. It also surprised the market — in a bad way — by posting a small adjusted loss. Analysts were holding out for a modest profit.